Virtual Reality is about to go mainstream with a revised iteration of Samsung’s Gear VR designed specifically for its Galaxy S6 and S6 Edge. The original Gear VR was more a proof of concept than a widespread phenomenon. It worked only with Samsung’s niche Note phablet. Not the Note Edge either, just the Note 4. Turns out interest in virtual reality is piquing as barely six months later Samsung has released its successor. Forget for a moment that the follow up has a ridiculously long moniker – it goes by “Samsung Gear VR Innovator Edition for Galaxy S6” – because it will work with Samsung’s high-selling Galaxy series. This is good news as more VR headsets will undoubtedly be sold and the result will be better designed games and content. 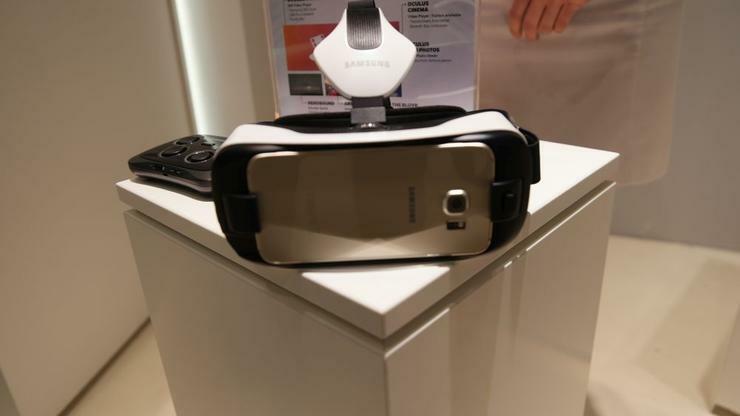 We spent a half hour testing the updated Gear VR at the Mobile World Congress. The second generation product was a big leap forward compared to the original. Samsung, which partners with Oculus on its Gear VR range, has achieved in six months what it takes Sony to do in the console market ten years. The Gear VR for the Galaxy Note was a PlayStation One. 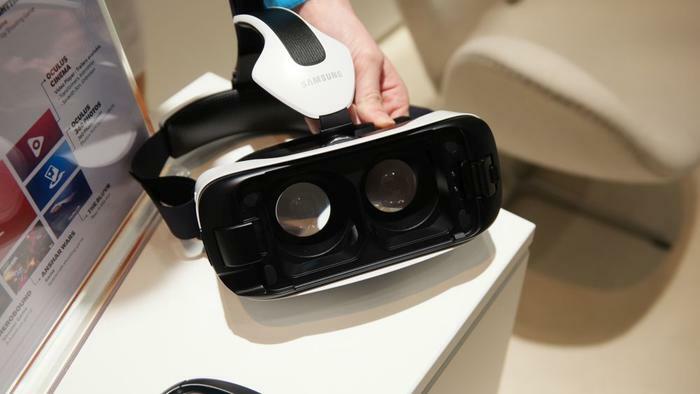 The Gear VR for the Galaxy S6 is like a PlayStation 2. Behind the step forward is the Galaxy S6 and the S6 Edge. The smartphones’ SuperAMOLED panel packs the pixels tighter together. The screen of the Note 4 is fantastic when it’s viewed from the palm of your hand. But strap the phablet to your face and peer through stereoscopic lenses, and you will see each individual pixel. The increased pixel density of the Galaxy S6 goes a long way in eliminating this effect. No longer did we feel we were experiencing virtual reality through LED signage. Movies looked visibly clear and constructed gaming worlds are far more immersive. The step forward is as big as the improved graphics in a second-gen console. That doesn’t make it perfect. Content isn’t photo-realistic, but the quality is high enough that you can get lost in whatever world you choose to explore. Improving the hardware is only one part to this formula. Virtual reality is immersive because it straps a screen to your eyes. The virtual world lines your periphery. This is taking the ‘lights off’ approach cinemas put to work to an extremist level. Samsung has improved the ergonomics of its VR headset so that it can be worn on your face for periods longer than 20 minutes. The Galaxy S6 is smaller and lighter than the Note 4, and this helps cut down the Gear VR’s footprint. 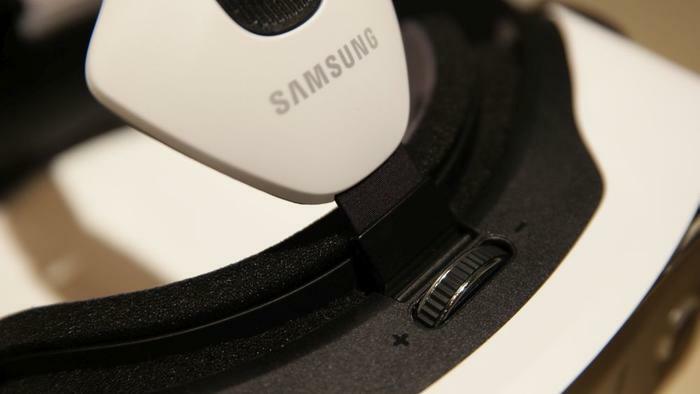 The headset itself benefits from a 15 per cent reduction is size. Weight distribution has been optimised and ventilation has been improved. All of these details add up for an experience that’s more comfortable. Some more improvements are still needed. Noses continue to carry the brunt of the weight and still feel pinched. Ventilation is better, but it remains a concern as we haven’t the chance (yet) to test the headset watching a two hour movie. Most of our time with the revised Gear VR was spent playing a game. We were in space caught in a dog fight with other space ships. Navigating through meteors and bullets was intuitively handled with the simple turn of our head. Firing bullets – or was it lasers? – was done with an optional Bluetooth remote control. We looked in every direction and found only the vast emptiness of space. It was exciting. The half hour went by and we never once stopped to question how stupid we may have looked spinning with enthusiasm on a computer chair. The second generation Gear VR is worth getting excited about. It’s different and fun, and although it’s not a game changer, it provides anyone with a Galaxy S6 smartphone with a glimpse of the great potential virtual reality holds.